In Texas, if customers enter into a rent-to-own contract, failing to pay can become a criminal matter. La'Angel Echoles rues the day she signed a rent-to-own contract for a flat-screen television. Echoles, a single mother of five, previously completed rent-to-own agreements to buy living room furniture and a used washer and dryer. However, Echoles lost her job and fell behind on payments for the television in 2016. She said she called the store, and reached an agreement with the Rent-A-Center manager to catch up on payments. “I thought if I paid my living room suite and the washer and dryer off, they would kind of at least give me a little chance," she told KENS 5 sister station WFAA-TV. Echoles said she was shocked when she received a call from a Dallas police detective. "[The detective] told me if I didn't turn [the TV] in that they were going to issue a warrant for my arrest and that I would be prosecuted," Echoles said. "I never heard of a law of if you're not making a payment, they're going to issue a warrant for you." Terrified about being arrested, Echoles returned the TV. 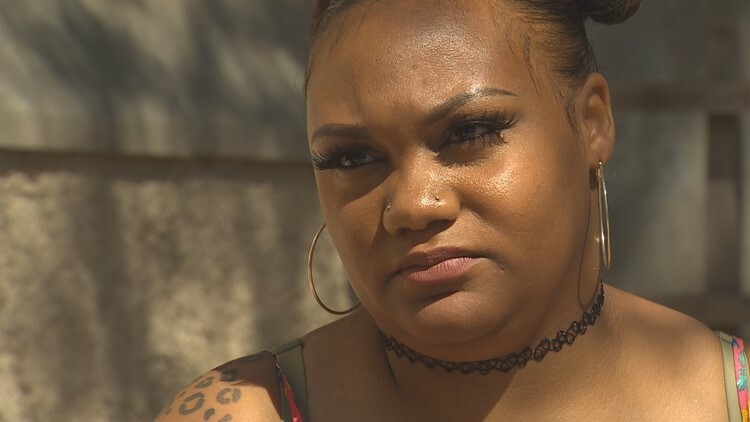 A WFAA review has found that Echoles is among dozens of North Texans reported to police for theft charges after they defaulted on rent-to-own contracts. If a customer buys a couch or electronics product with a credit card and fails to pay, it becomes a blemish on their credit history. But in Texas, if customers enter into a rent-to-own contract, failing to pay can become a criminal matter. Industry representatives said the rent-to-own industry has continued to expand because it serves a specific need. Rent-to-own customers, industry officials said, gain immediate access to products by making weekly or monthly payments for items like furniture or electronic products that they otherwise aren't able to buy outright. The practice may have special appeal to those unwilling or unable to make down payments or lacking credit. And only a very small percentage of customers who default on payments ever face theft charges, industry representatives told WFAA-TV. A WFAA-TV investigation, however, also found concerns that customers may have already paid thousands of dollars by the time they default. And even if they pay off the rent-to-own contract, it may cost up to three times more than the retail price, even if the items were previously used. Deondria Lowe was a mother of a toddler when Dallas police came for her. "They told me that I'm going to jail, I have a felony charge," Lowe recalled. Lowe, along with her then-boyfriend, Keith Crear, were charged with felony theft over two used televisions and a used Sony PlayStation from a Rent-A-Center franchise location in Dallas. Crear signed a rent-to-own agreement in 2015 for the electronics, but Lowe never signed. However, both were arrested and indicted under Texas laws that cover rental contracts. "I was scared for my daughter and I couldn't really eat. I couldn't really sleep," said Lowe, who had never previously been charged with a felony. Critics told WFAA that Texas law is on the side of rent-to-own companies. Texas law presumes rent-to-own customers who fail to pay may have outright stolen the property, critics said. Under the law, if a renter doesn't return the item after a written delinquency notice is sent, the item is presumed stolen. The law also presumes the renter received the notice. And, under Texas law, rent-to-own customers can still be charged with a crime, even if they have returned the property. 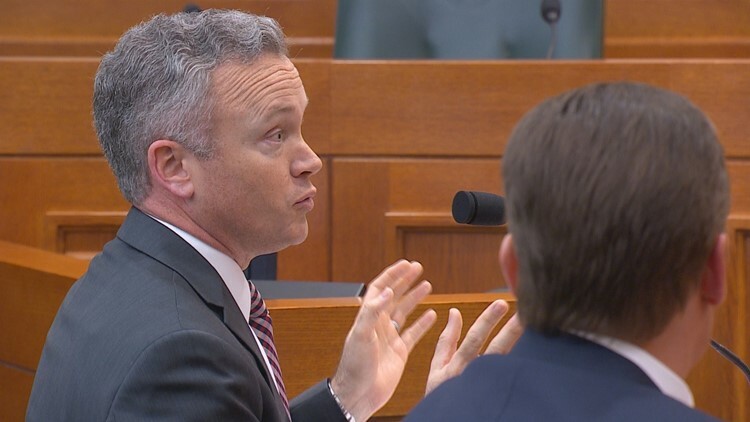 Collier has been assigned to a Texas House panel looking at overhauling the law. "Law enforcement has their hands full," Collier explained. "We don't need them going out there to enforce private contracts." 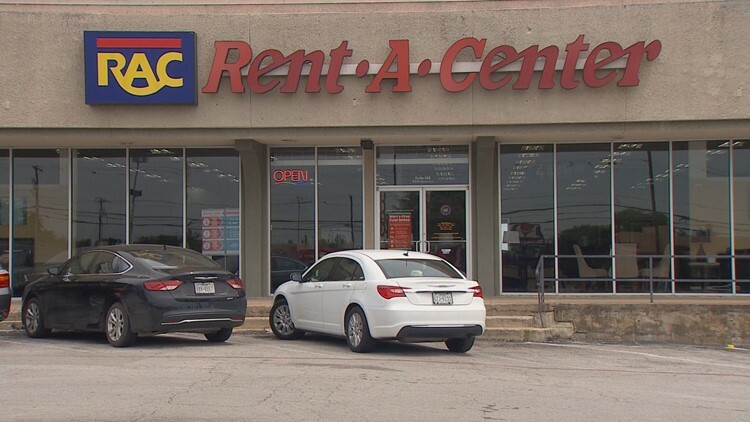 Rent-A-Center officials told WFAA they don’t tell customers that they could face criminal charges if they become delinquent or default on their payments. Warnings also aren’t written in their contracts. Rent-A-Center, headquartered in Plano, is the nation's largest rent-to-own operator. In other states like Florida, rent-to-own companies are required to put in big bold letters that failing to return rented property could result in criminal prosecution. On its website and in commercials, Rent-A-Center boasts that it does not do credit checks. Several critics told WFAA that’s a key problem. 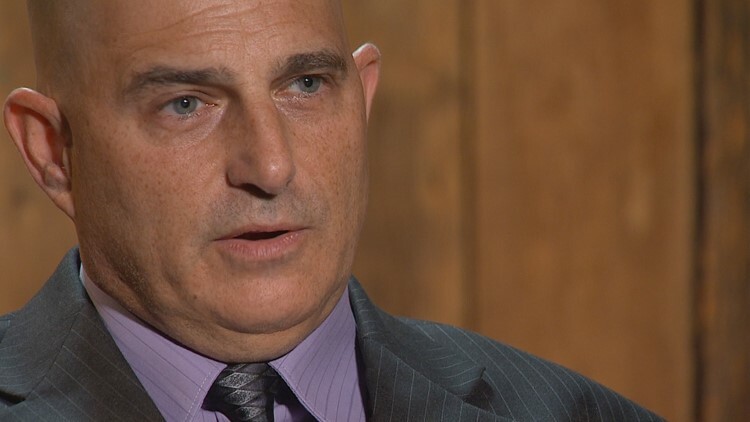 “To hear that in this day and age is to me absurd, and again that's disappointing,” said Mike Dana, a former Dallas police financial crimes detective. So when a customer quits paying, the company depends on the cops to step in. Rent-A-Center officials declined a request for an on-camera interview. WFAA, however, was there when a company attorney testified before Collier’s committee in Austin. "We're not extending credit," Mathew Grynwald, the company’s assistant general counsel, told lawmakers. "We're basically allowing the use of the product in exchange for a rental fee up front, and at the beginning of each term of use." Grynwald testified that only a fraction of the company’s overall rental contracts went in default and resulted in the filing of police complaints. "No one is being prosecuted for failing to make their rental payments," Grynwald said at the hearing. A Rent-A-Center spokesperson told WFAA that the company had 450,000 active rental contracts in Texas in 2017. Of the active contracts, 30,661 were classified as “skips or stolen” because the customer did not return the merchandise. Among the delinquent accounts, the company sent out only 223 demand letters to customers. And not all the demand letters led to a formal complaint to police for prosecution. Higgs, president of a company that owns 33 Rent-A-Center franchise stores, said rent-to-own stores cannot file criminal charges in some Texas counties because prosecutors will not take them. Waco Attorney Jason Milam told legislators he’s represented more than a dozen clients in rent-to-own cases. Melinda Sandlin, an Austin resident, testified about her nightmarish experience. She signed a contract with Acceptance Now, a division of Rent-A-Center. Sandlin made thousands of dollars in payments on bedroom furniture before becoming ill, causing her to fall behind on her payments. Sandlin testified that a store manager harassed her family members, telling them she would be going to jail if she didn't return the furniture or make the payments. "I did mention to them several times that I was ill, and they didn't care," Sandlin said. "They didn't offer any empathy." During the hearing, Grynwald told lawmakers Sandlin’s case would not have qualified for a police report to be filed under the company’s process. "It appears that there were threats made inappropriately by a store manager," Grynwald said. Echoles' case shows just how quickly these cases can boil down to a “he said, she said" situation. The police report lists the company as having reported the theft of a television and a stereo. Echoles said she never signed a contract for a stereo. A Rent-A-Center spokeswoman Sonia Holland denied that the company filed a report about the television. Instead, she said Rent-A-Center made a report on a default regarding the stereo. She said Echoles had made only one payment. "Being a first payment default, avoiding all efforts to communicate, and not returning the product after those efforts and written demand, all signal that she had improper intent at the time she entered the agreement,” Holland told WFAA in an email. Rent-A-Center provided a copy of what they said was the contract Echoles signed for the stereo. They were unable to provide the television contract. It took more than a year, but charges against Lowe finally were dropped because she did not sign the contract. “I never rented from them, but it was my word against theirs,” she said. Lowe did acknowledge pawning a couple of the items. She said she did not know they were not owned by her then-boyfriend, but instead rented at the time. The arrest still shows up on her criminal history. She has not yet had time to seek an expungement. WFAA asked the franchise owner how police came away with the impression that Lowe signed the contract. The franchise owner denied telling police she signed the contract. He explained that perhaps the police officer used “imprecise wording” in recording the complaint. 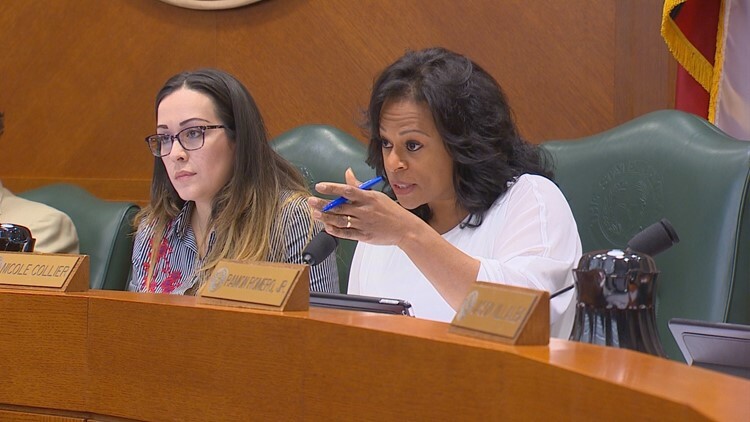 Ed Winn II, general counsel for the Association of Progressive Rental Organizations, told WFAA that his organization was not opposed to revising Texas laws. He said South Carolina outlawed strict rent-to-own theft prosecutions in 1983, and Virginia outlawed the law a few years ago. However, neither of the states saw any real changes in losses to their constituents. "Revenues are as good there as anywhere," Winn explained. The Federal Trade Commission has reviewed concerns regarding the rent-to-own industry.